When your neck hurts, the simplest movement can seem difficult or even impossible. You may first notice a problem while sitting at your computer, getting up from bed or a chair, or following through on a golf swing. It may seem as if the pain comes out of nowhere, but more than likely, the pain originated in the spine, and has probably been building up for some time. Chiropractic care provided by Ptak Chiropractic & Wellness is a safe, effective, and drug-free way to correct neck pain at its source, offering natural, long-lasting relief. Your neck is made up of 7 ringed-shaped bones called cervical vertebrae. Along with your muscles, tendons, ligaments, joints, discs, and nerves, the purpose of these vertebrae is to house and protect the fragile spinal cord, add structure while supporting the midbrain, and allow the head a range of motion. When one (or more) vertebrae becomes misaligned, your body experiences irritation or interference of your Central Nervous System (CNS). This interference in the transmission of vital information traveling from your brain down your spinal cord and out these spinal nerves can cause pain as well as any number of health-related problems. Dr. Jeffrey Ptak has spent nearly 30 years investigating and treating the connection between vertebral misalignments, pain, and ill health. He is a specialist in the location and permanent correction of vertebral misalignments, also known as vertebral subluxations. Subluxations are commonly known to be caused following a traumatic injury, such as a sports or recreational injury, a work-related injury, or a car accident. Less known to the general public, and one of the better-kept secrets, is that the major cause of vertebral subluxations is actually the stress of poor lifestyle habits. When a spinal bone becomes misaligned, it often occurs without creating any symptoms. Gravity will then place extra stress on those misaligned vertebrae, causing them to decay. Spinal decay or degeneration can build silently for years, even decades. A vertebra that becomes subluxed may now begin to wear down the spinal facet joints on one or both sides. These joints are responsible for the movement of our neck, so when decay builds up in this area of a spinal bone, pain and loss of motion will ultimately ensue. Spinal discs, whose job it is to cushion our neck and act as shock absorbers, will now begin to wear down, strongcompress, and begin to decayas well. It is often following an additional trauma to the neck that already is under stress, (such as from a car collision, a fall, or a sporting mishap), that degenerative disc and joint disease as well as spinal arthritis are discovered. A medical doctor will typically recommend three options for their patient suffering from neck pain: medications, corticosteroid injections, and surgery. Each has its own drawback. Anti-inflammatory drugs, such as aspirin, ibuprofen, and acetaminophen, whether prescribed or over-the-counter, can result in serious side effects to the liver, kidney and/or heart, and do little more than mask the pain. They do not correct the underlying problem. Cortisone injections can cause several strongb>short-term complications, such as infection, hematoma, and abscess; with prolonged use, they eat away at cartilage and cause osteoporosis, which exacerbates the problem rather than correcting it. Cortisone injections have been proven to weaken the surrounding tissue for up to 8 weeks, leading to the very real possibility of creating further damage. With surgery comes serious risk and often little to no success at relieving the pain. Compare these conventional options to the chiropractic approach, which corrects the underlying cause of pain. There is no reason to put yourself at risk with dangerous drugs, injections, or surgery. Remember: Chiropractic first, medicine second, surgery last! As each patient is unique, so is their neck pain. Over the course of nearly three decades, Dr. Jeffrey Ptak, DC, MA of Ptak Chiropractic has developed an innovative approach to relieving pain that has benefited thousands of patients. With Dr. Jeff, you get an experienced doctor of chiropractic who will utilize the technique most effective for your specific health condition. 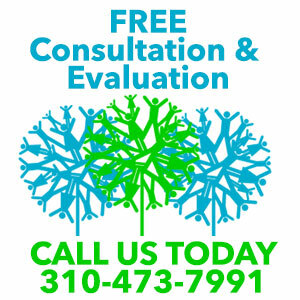 Call (310) 473-7991 today to schedule a consultation with Dr. Ptak. Discover how he can help you live a healthier life and become pain-free.